Applying oil to your shredder helps to lubricate the blades and optimise the function of your machine. By improving functionality of your shredder you increase the life of the unit and thereby decrease replacement costs and energy consumption concerns associated with a shredder performing at less than optimum levels. 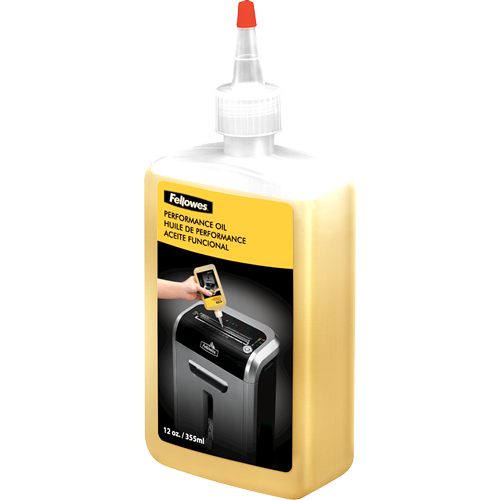 This Fellowes Shredder Oil has been specifically designed for use with Fellowes shredders to improve operations and preserve the integrity of your machine. 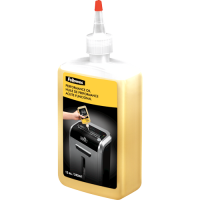 Use this oil regularly to to keep the cutting mechanism clean and free from paper dust.